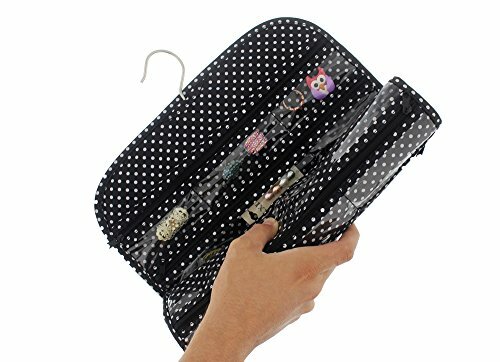 Includes One Black & White Polka Dot Design Double Sided Jewelry Organizer. Perfect for storing rings, bracelets, necklaces and other small accessories. Features 16 see through compartments with zipper on both sides (32 compartments total). Makes a great gift for friends and family! Folds away for easy storage and travel use and features a metal hanging hook. Dimensions: 18" x 13"
Perfect for storing rings, bracelets, necklaces and other small accessories. Makes a great gift for friends and family! Folds away for easy storage and travel use and features a metal hanging hook. If you have any questions about this product by Mr. Stuff, contact us by completing and submitting the form below. If you are looking for a specif part number, please include it with your message.